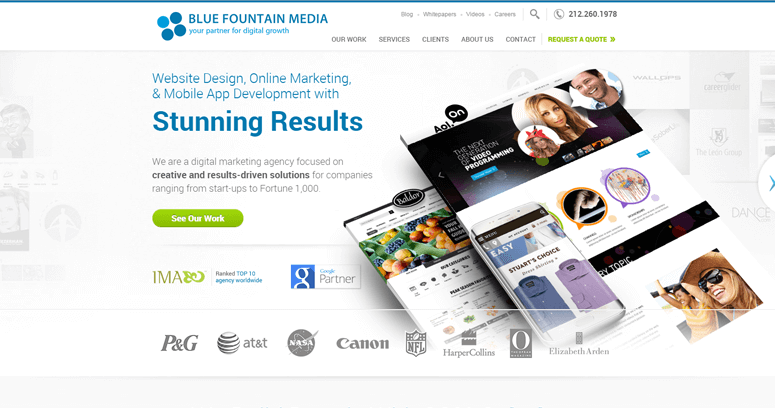 As an award wining agency, the Blue Fountain Media agency is capable of providing the most powerful web designs for your company. They have provided marketing and web development solutions to huge Fortune 100 companies and even local start-ups, so Haney can help provide service to you no matter what. They got their start back in 2003, and they have made it their mission to create solutions that bring results. 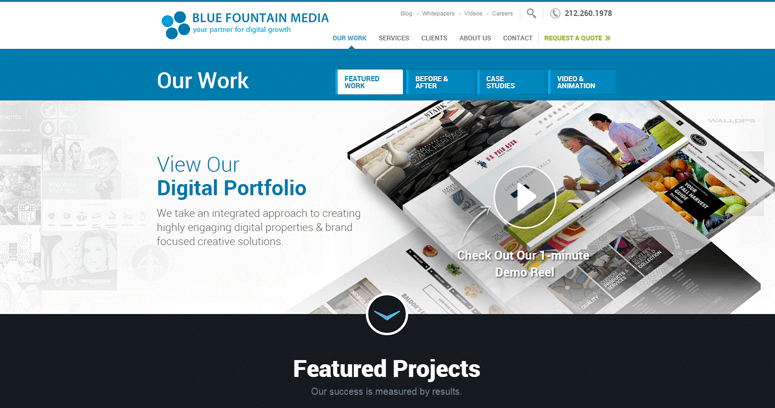 With a committed team of creative, united, and talented marketing specialists and designers, they can work with you to build your web presence. Just a few of the awards they have receive have come from the likes of The Ava Awards, Horizon Interactive, The Telly Awards, The International Davey Awards, among many other companies. These award ceremonies only award those who deserve immense appreciation for their hard work in the marketing industry. 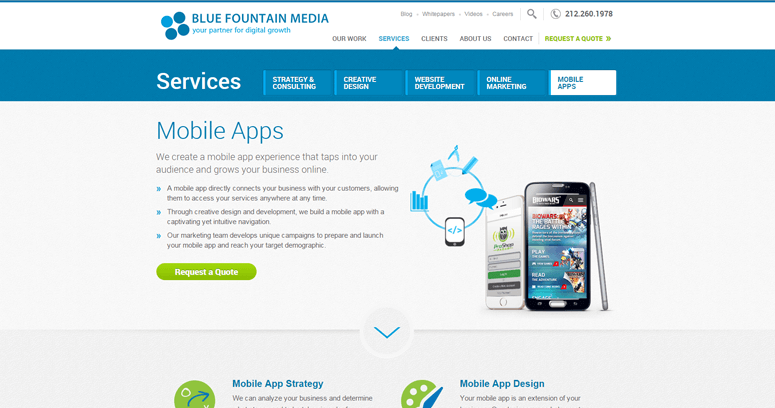 With talented designers, they can build websites that grow your business.